I scrolled through the roster of restaurant reviews on my blog and have realized that there are a number of my favorite spots missing, like Mecha Noodle Bar in SoNo. For those who aren’t familiar with ramen noodle bars, this is not your Cup o’ Noodles that you had in college. This is a bowl of love from Mom and Pop’s Southeast Asian kitchen—but literally, since Mecha means “Mom and Pop” in Vietnamese. 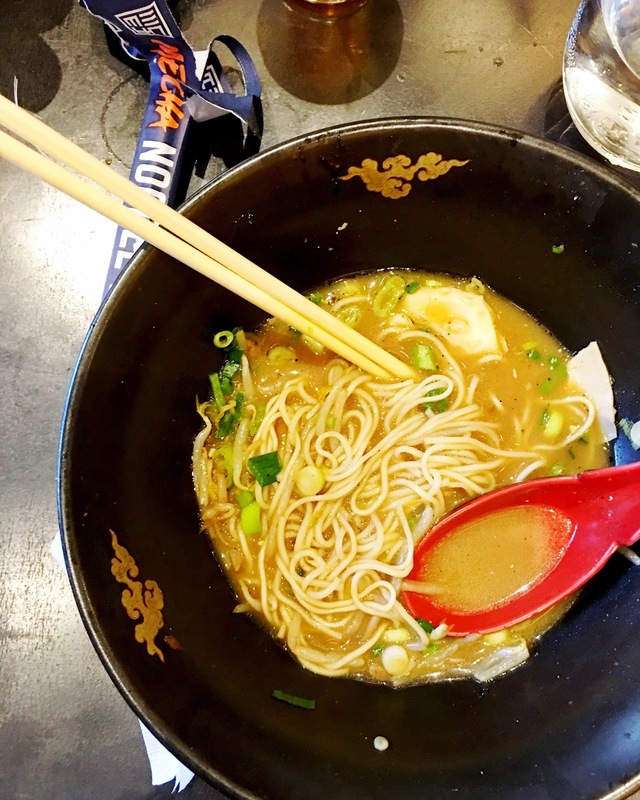 And it’s not right to chalk up Mecha Noodle Bar as simply an Asian fusion restaurant, because it’s more of a “American-Vietnamese-Japanese-Thai-Chinese-Korean-New England-Momofuku-Totto-and-Ippudo-inspired” noodle bar. If you’re a fan of pho, Vietnamese noodles, then you’re in luck—Mecha serves both ramen and pho combinations. Mecha Noodle Bar has three locations—Fairfield is their original location, followed by SoNo and New Haven, which recently opened in Fall 2016. Although the space in New Haven feels larger and more open, I prefer the SoNo location for its laidback, downtown vibe. I’ve had some great conversations with the bartenders and other people while eating solo at the bar. At the other locations, it feels like you need to have a date with you—this is especially true in Fairfield, which has a tiny bar in comparison to SoNo and New Haven. Ramen isn’t just for cold-weather—I love coming to Mecha year-round. My favorite meal at Mecha comprises of the roasted mushroom dumplings, spicy miso ramen and the 99 Problems cocktail. Honestly, the entire menu is pretty spectacular, as are the Happy Hour specials between 4pm-6pm on weekdays.